The Pixel 3 and 3 XL have larger screens due to the reduced bezel sides. And the Pixel 3 XL has a notch in the center to allow for the larger screen. The Pixel 3 has a 5.5-inch screen and the 3 XL has a 6.3-inch display. Google’s GM and VP of Pixel Mario Queiroz said that the Pixel is powered by AI to deliver more helpful and enjoyable experiences. So a phone will answer for you when a telemarketer calls and it has a camera that uses artificial intelligence to ensure that you do not miss a shot. Plus there are more helpful visual and audio experiences as you charge the device powered by the Google Assistant. The camera on the Pixel 3 has several new features. This includes the Top Shot feature, which uses AI to capture the perfect photo every time — meaning it captures alternate shots in HDR+ when you take a motion photo and then recommends the best one. There is a Super Res Zoom feature that is traditionally used for astronomy and producers sharper details as you zoom. And there is a Night Sight feature that allows you to take natural-looking photos in dark surroundings without having to use the flash. On the back of both devices are single rear 12.2-megapixel rear cameras. And both of them have two front-facing cameras, one of which has a wider field of view for better selfies. While you are taking selfies, you may notice that the Group Selfie feature gives much more room in the photo for group shots and scenery. Google said specifically that you will have 184% more room in photos. And the Photobooth mode uses artificial intelligence to recognize when you are smiling or make a funny expression. Plus the camera can take the photo on its own so you don’t have to tap on the shutter button. As you take photos in Portrait Mode, you can adjust the blurriness of the background and change the part of the photo that is in focus even after taking the photo. Plus Google Photos can also make the subject of the photo stand out by leaving them in color while changing the background to black and white. There is a new Playground feature where you can make photos and videos more entertaining by adding animated stickers and captions. For example, there are characters from the Marvel Cinematic Universe exclusively on the Pixel in conjunction with the Marvel Studios’ 10 Year Anniversary. Plus there are new packs for Pets, Sports, Signs, and Weather. In terms of video, there is a new feature called Motion Auto Focus, which makes it easier to capture something that does not stop moving like a puppy or a baby. This feature ensures that the Pixel 3 camera stays in sharp focus automatically as you record. Plus if you happen to be taking a selfie video as you walk, the Pixel 3 will utilize front-facing video stabilization. If you buy a Pixel 3, then you will be able to save all of your photos and videos in original resolution for free (through 1/31/2022 and it will remain free at original quality after that). Google Lens is built into the Pixel 3 camera so you can learn more about something that you are looking at. So it can scan and translate text as you point it at signs and menus. And you can find similar styles of clothing or identify plants and animals by long pressing the Pixel 3 camera. Plus Google Lens can automatically extract information from QR codes and business cards (creates new contacts) simply by pointing the camera lens at it. The Pixel 3 is also able to tap into Gmail’s new Smart Compose feature, which suggests phrases as you type them. This feature is already available in the desktop and certain mobile versions of Gmail. Google Assistant is built into the Pixel 3. You can activate Google Assistant using your voice or simply squeezing the devices. There are two new features built into the Assistant. As mentioned earlier, Google Assistant allows you to screen and avoid spam calls. When you tap on “Screen call,” the device will find out who is calling you and why they are calling. Then the device will show you a transcript of the caller’s response so you can decide if it is important or not and you can respond with the quick reply feature (“I’ll call you back later”). You can also mark calls as spam and dismiss them. And Pixel users in the US will be the first to access an experimental new Google Assistant feature powered by Duplex technology. This feature allows you to complete real-world tasks over the phone such as booking a table. With Duplex, the phone will be able to call certain places and emulate a human so that a certain task gets done. 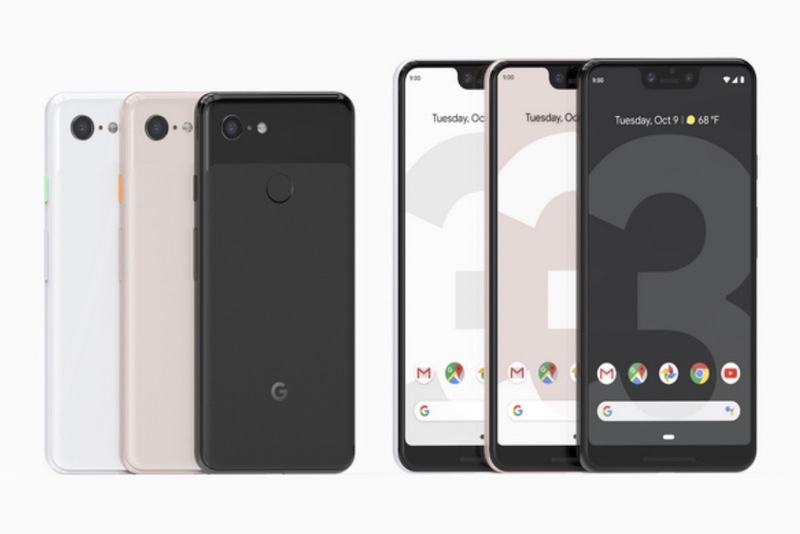 Duplex on the Google Pixel 3 will be available later this year in the San Francisco Bay Area, New York, Atlanta, and Phoenix. And it will be rolled out to more cities in the future. Businesses that receive these types of calls will be informed that they are talking to an automated system. And callers that are screened via the “Screen call” feature will be informed that a screening service is being used. Digital Wellbeing is a major component of the Pixel 3 line of devices. There are several tools built into the Pixel 3 built into a dashboard to help users understand how they spend time on their devices. Time limits can be set on specific apps and there is a Wind Down mode that transitions the display to a grayscale screen to make it easier to sleep at night. When you flip to Shhh, it will turn off rings and notifications and turn on Do Not Disturb. In terms of charging, the Pixel 3 has an 18 Watt fast charger in the box. This gives you 7 hours of usage in 15 minutes of charging. And the device has an AI-powered Adaptive Battery technique to prioritize battery power for your most important apps to make the device last all day. The Pixel 3 has an IP68 water- and dust-resistant. And it has a customer security chip built by Google called Titan M. Titan M enhances mobile security by protecting your unlock credentials, app data, disk encryption, and the operating code itself. How much does it cost? The 64GB Pixel 3 costs the $799 and the 3 XL costs $899. And the 128GB versions costs $100 more. Google opened up pre-orders for the devices today and it will officially launch on October 18th. Customers who active the Pixel 3 or 3 XL by December 31, 2018, will also receive 6 months of YouTube Music Premium for free.